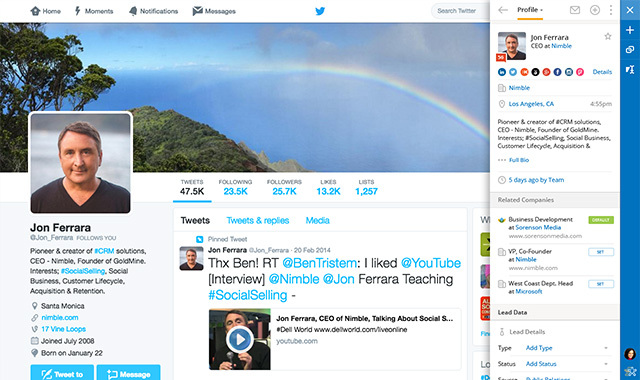 Nimble Social CRM is called "the unCRM", and it's designed to help simplify CRM for everyone. The platform makes it easy to track and stay connected with your contacts. Most importantly, though, it's easy and elegant, and your team is sure to be excited about making it part of how they manage their day. 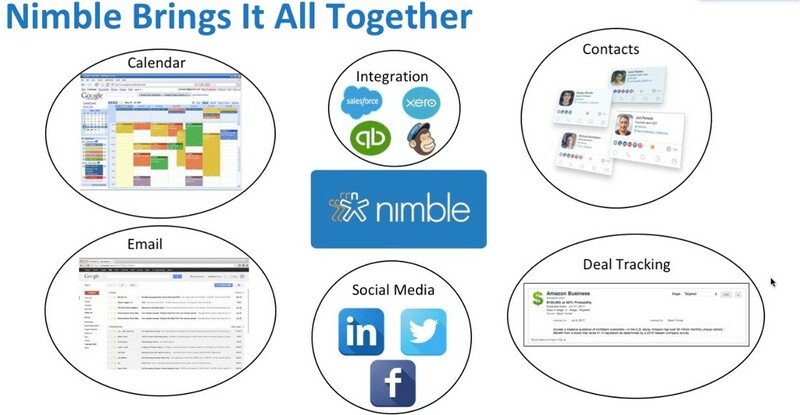 With Tech.Sell, Nimble is easy to learn, use, and share. Let us show you every aspect of this simple customer relationship management solution. Nimble makes it easy and fun to prospect better, smart, and faster. 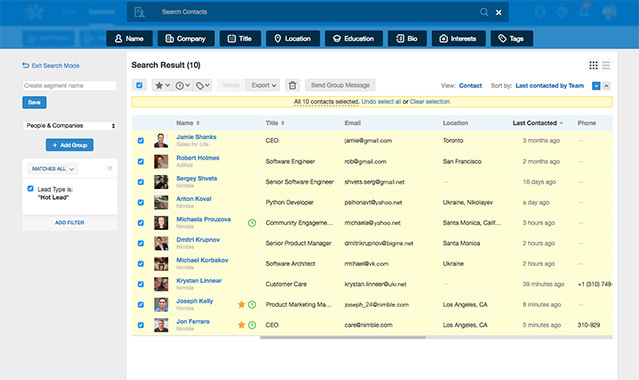 Nimble is the first CRM that updates contacts with the information you need: company name, title, location, experience, education, shared relationships, mutual interests and more. We add social profile links for all of your contacts and companies to help you find critical details to allow you to take action. Business intelligence is critical for your sales success because it helps you identify which contacts and companies to connect with. Nimble will save you time by delivering sales intelligence to every contact with the people and company details you need to be prepared. Details include industry, company size, location, employee count, revenue, and more to help target the right companies. Your contact data comes from all over and it’s tough to keep everything up to date. Our Prospector feature uses AI to complete and update contacts with the latest email, phone number, location, title and company. Prospector is available in our Smart Contacts App or our Nimble Web App. Nimble tracks your message opens and clicks to help you know exactly when your contact interact with your outreach, making easier to identify your hottest prospects. 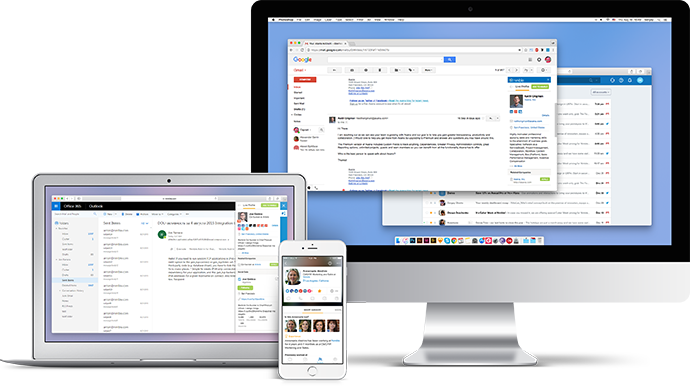 See desktop notifications and detailed analytics on the # of times a contact has opened or clicked on your message without leaving your Gmail box. 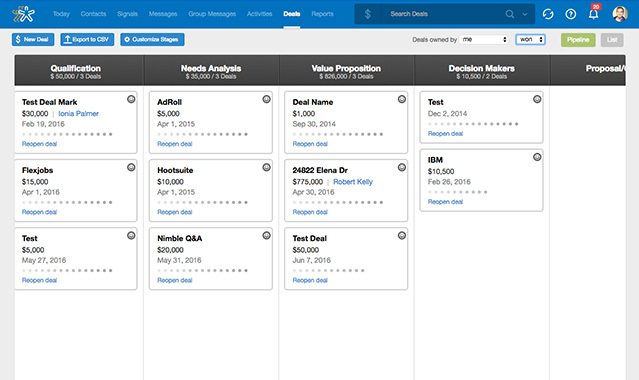 Empower your sales team with our clean and simple deal pipeline. Nimble automatically ties your team's tasks, events, and communications to each deal to ensure everyone is on the same page with each of your opportunities. It's easy to keep your finger on the pulse of your sales team with our deal forecasting and pipeline analytics. Check out your team's historical or projected revenue, and let us inform you about deals that need your attention. Our Group Messaging enables you to send personalized group emails with tracking, analytics, and reporting from your business email identity, not a generic marketing alias. This ensures that all your outreach appears as a sincere one-to-one conversation rather than a mass email blast, resulting in better opens and clicks. 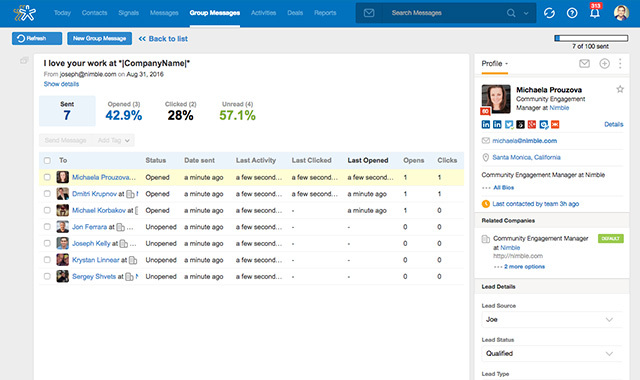 Nimble delivers instant insights on people and companies by automatically building Live Profiles on anyone, anywhere. Whether you’re working in your email inbox or browsing the web, Nimble delivers contact profiles with essential details: who people are, where they work, where they are from, number of company employees, year founded, revenue, industry, CEO details, location, social profiles, contact info and more. 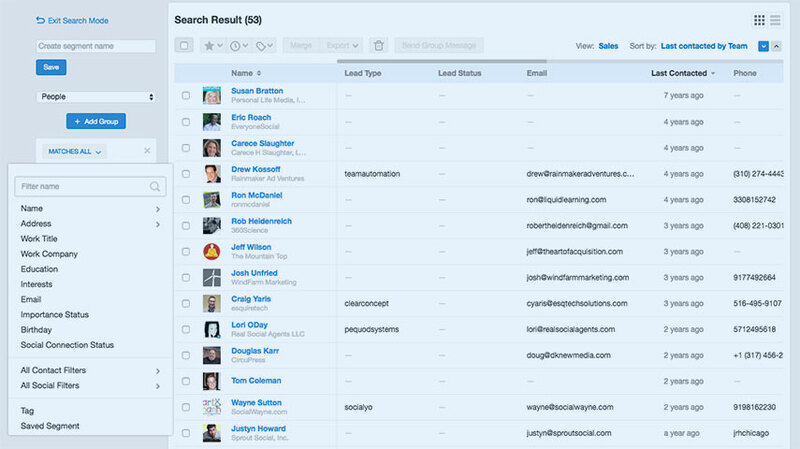 After enriching people and companies with the detailed insights, Nimble lets you easily segment specific contacts to find the hottest prospects to take actions on like sending Group Email Messages and tagging for follow-up. 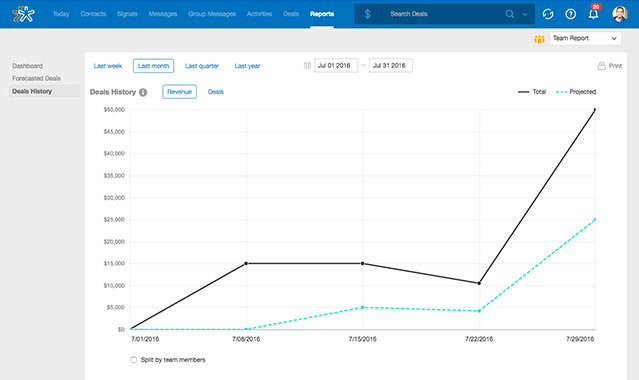 Nimble delivers the context and insights you need to prospect smarter to grow your business. 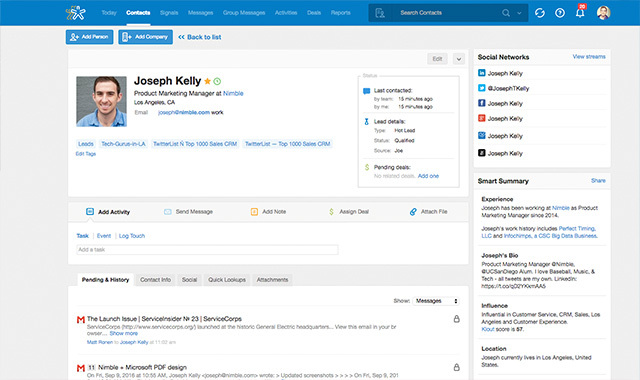 Use Nimble’s insights to help you add new prospects, everywhere you work. 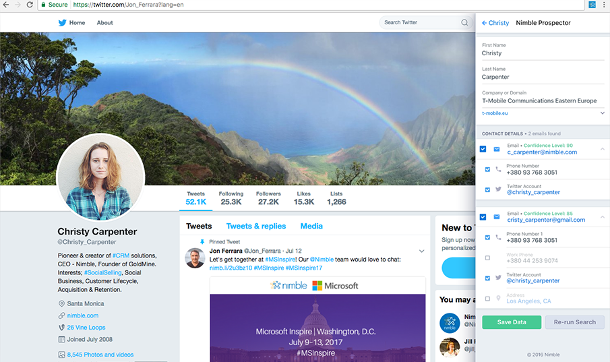 Nimble is optimized to work alongside your Office 365 and Google Apps inbox, and in the social networks you use to surface prospects, including Twitter, AngelList, Facebook, Google+, Foursquare, Instagram and more. 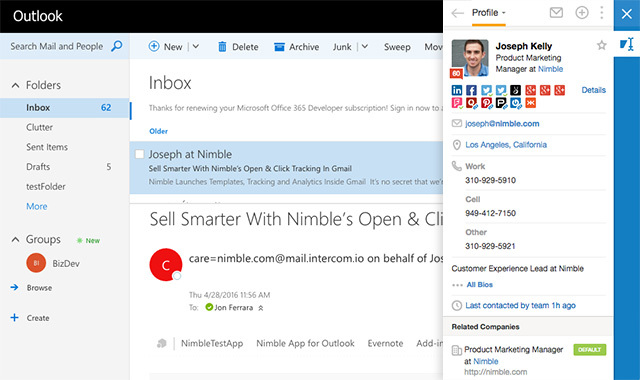 Nimble is the first CRM that works wherever you're engaging customers. Our Smart Contacts Browser App helps you connect intelligently on any social site or business app. The Nimble app is the only relationship manager and personal Agenda Tool you need. 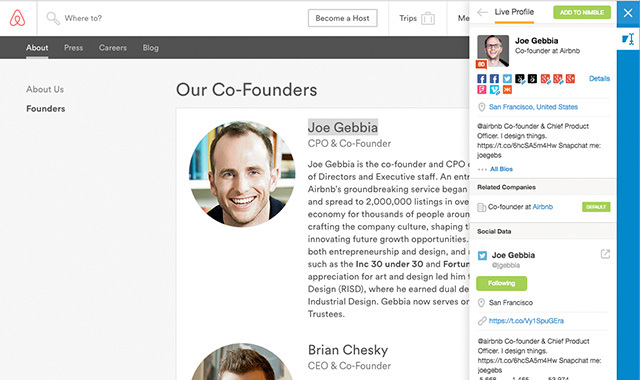 It combines your phone’s contacts and calendars with our rich people and company insights. 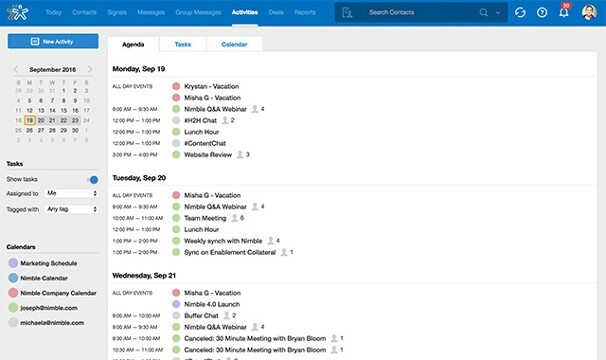 Before every meeting, Nimble presents you with clear and concise contact and company details. Our Nimble mobile app will even help you to effectively follow up and follow through with your contacts via automated reminders to log notes and tasks. Our browser Apps delivers the power of Nimble everywhere you work by providing relationship insights to help you take effective action inside your email inbox, social sites like LinkedIn, Twitter, Facebook, Instagram, AngelList, Google+ and in any web browser app. 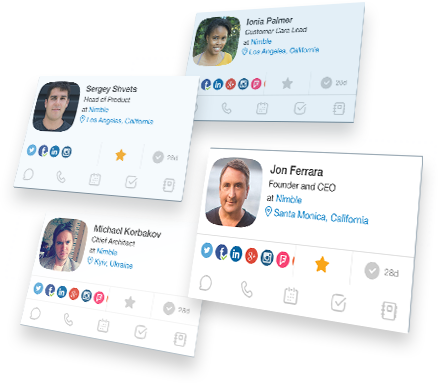 The app automatically displays contact and company details and the teams complete communication history including emails, social interactions and messages, notes and calendar events for every contact in Nimble. Nimble works seamlessly with Google Apps and Office 365 to unify your email, calendar and social history into a simple smart CRM that powers everyone in your company to work as a team. Our Social Sales and Marketing features help identify, communicate and connect to grow your business. 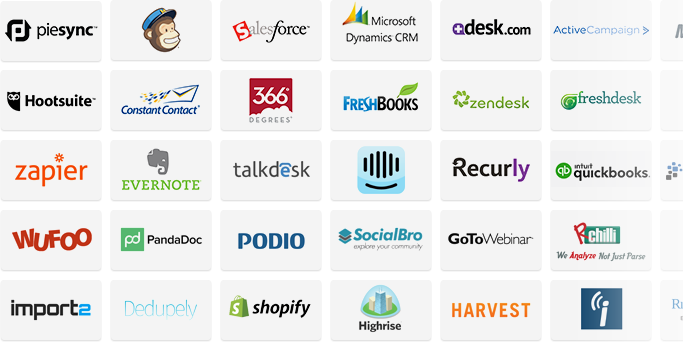 Extend the power of Nimble with over 100+ Integration Partners. Offering lead capture and analytics, email marketing support and more, Nimble’s add-ons give your business even more ways to close the marketing and sales loop.